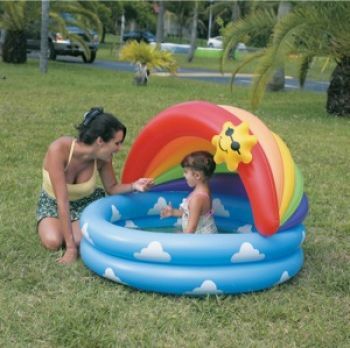 Detachable rainbow provides shaded area to play. Water capacity 25 gallons (94 litres). Colours and design may vary from photograph.